Want to Be A Michigan Real Estate Broker? The use of drones in real estate photography has changed the game when it comes to high-quality video from the air. An experienced UAV pilot may make it look easy, but that comes with a price. You’ll have to find the balance when it comes to cutting into profits to keep up with the competition. One way is to learn how to film your own drone videos. Here are four video drone shots you can practice so you can film your own listings and have them look just as good as the pro’s. The Fly-By – The fly-by will work in almost every situation and should be used for every listing you film. The best way to film a fly-by is to set your focal point at 200 feet out. Slowly fly by your subject panning left or right. This will add drama to the shot. Fly all the way by the subject and let it leave the frame. The High Pan – I love to use the high pan when filming a large property, especially waterfront. This is a basic shot that shows the expanse and surrounding areas. Fly straight up to between 150 to 250 feet, depending on how far you want to show in the shot. Once you reach your desired height, slowly pan the drone in a complete circle. Do your best to keep the pan as smooth as possible. The slower the pan, the better. You can always speed it up in editing. The Orbit – The orbit is a more difficult shot, but it will pay off in the end. It involves both lateral flight and a slow pan. To set up this shot, you will want to set a distance from the structure of 25 to 75 feet. Keep this distance throughout the shot, maintaining a clear flight path all the way around the structure. This is where a spotter can really come in handy. Be sure to keep the structure in the center of the frame throughout the shot. The Reveal – The reveal is a shot that can set your video apart from every other listing on the market. It is best used when you have waterfront property. Start the drone on the opposite side of the structure from the water. Fly 15 feet off the ground and point the camera straight toward the ground. Fly up and over the building as you pan the camera up. The closer you get to the roof of the home or building the better, but keep it safe. You do not want to have to go looking for a ladder to get your drone off the roof. As you fly over the building, the beautiful water will be revealed, adding a dramatic touch to your listing video. I hope these shots have helped in filming your own real estate listings. Be sure to practice these shots in a wide-open area before attempting them at a listing. The last thing you want to do is fly into a client’s home or commercial property. Keep it safe and have fun flying. Interested in learning more? Check out real estate specific drone courses at Real Estate Training Institute. We also offer Commercial Drone Pilot Training too! 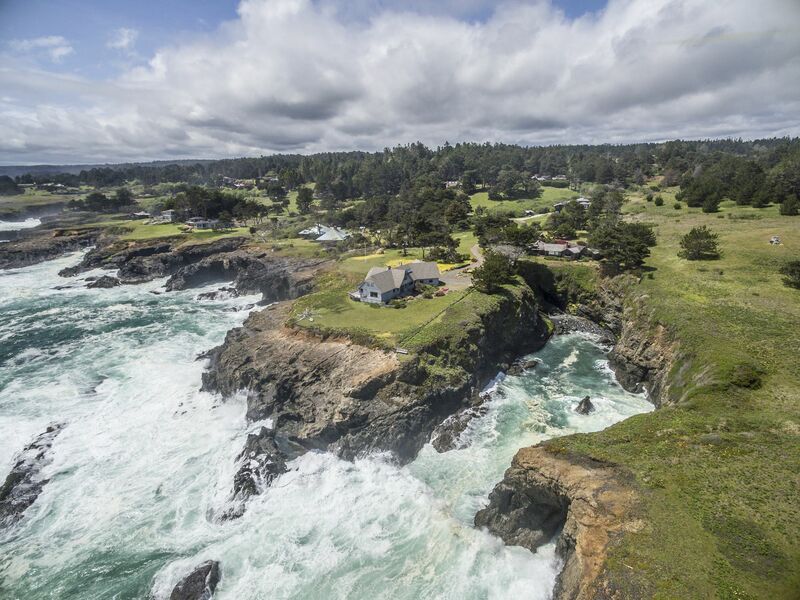 This entry was posted in Drones, Real Estate and tagged Drones, Drones in Real Estate, sUAS.